In sludge composting, a biothermal process takes place in which microorganisms reduce the sludge organics. This aerobic process is accompanied by a rise in temperature to 50 to 72°C and a decrease in the moisture content of the sludge. 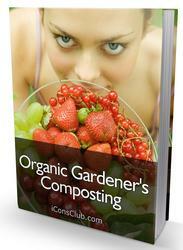 The quantity of sludge organics reduced during composting averages 25%. The reduction of 1.0 kg of sludge organic creates an average 21 MJ of heat. Taking into account the heat losses and the heating of compost material, it is necessary to spend approximately 4 M J of heat for the evaporation of 1.0 kg of water. Thus, a reduction of 1.0 kg of sludge organic allows the removal from the sludge of 5.0 kg of water (21 MJ/4 MJ per 1.0 kg of water). Some moisture is removed from the sludge by natural evaporation. The total quantity of moisture removed from the sludge depends on such factors as climate, season of the year, dimensions of piles, duration of composting, and periods of turning over of piles. 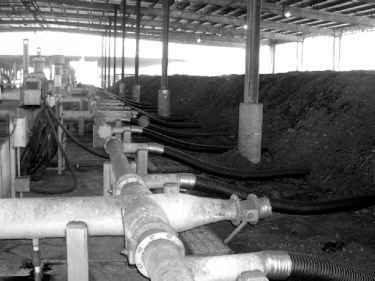 The moisture content of composted sludge is approximately 50%. Utilization of sludge organics as a plant fertilizer may bring greater economical benefit than their use as a heat source.